THE HORIZON GROUP IS COMMITTED TO EXECUTING ITS CLIENTS' VISIONS WHILE MAINTAINING A VERY HIGH STANDARD OF QUALITY. EACH HORIZON YACHT IS A UNIQUE REFLECTION OF ITS OWNER'S LIFESTYLE AND PERSONALITY. 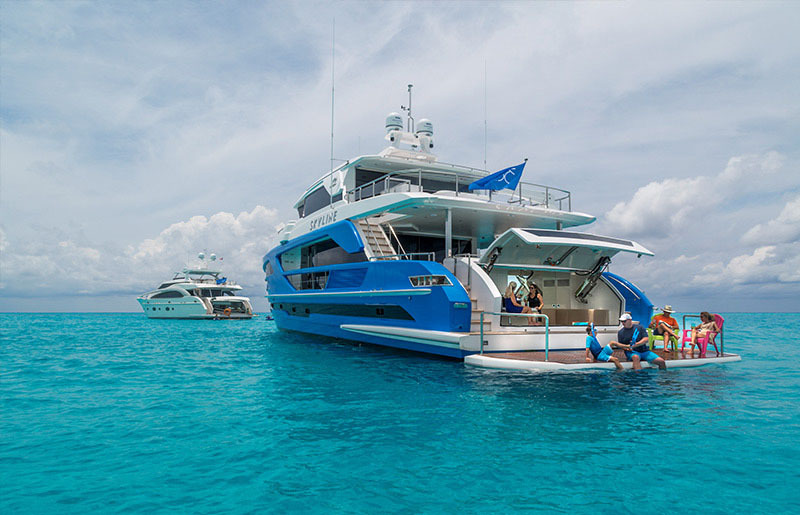 Each of Horizon Yacht's series is designed and engineered to the highest standards and provides a platform upon which each client can customize his layout. To allow this level of customization means that challenges may be encountered, but Horizon's dedicated and inspired team addresses any such situation as an opportunity for improvement. Not only will your Horizon yacht embody your style and personality, it will give you peace of mind. Horizon customers take comfort in the knowledge and experience that the Horizon team brings to the table. 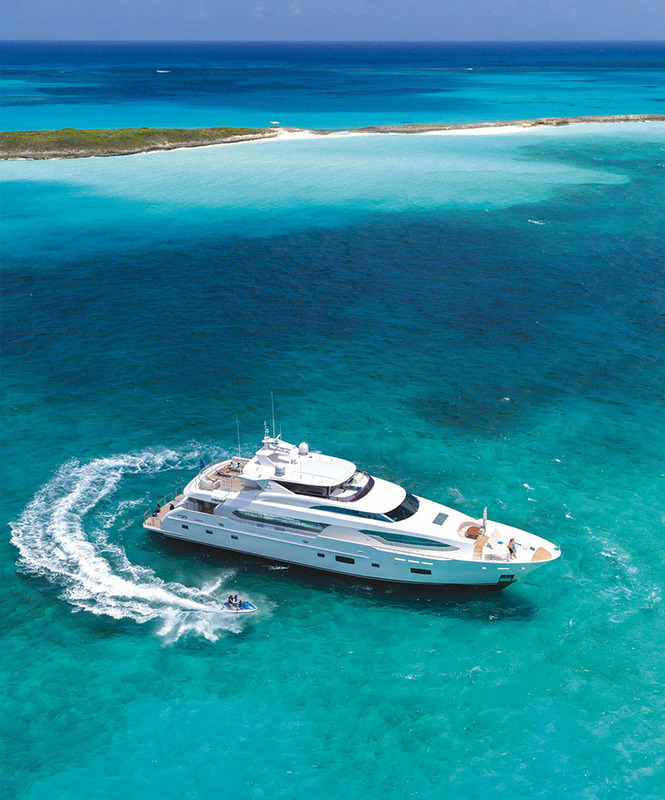 Each Horizon yacht is backed by the Horizon Group's pedigree and commitment to quality of the highest standards. Innovative thinking coupled with careful planning backed by decades of quality yacht building experience is what sets Horizon apart from any other yacht builder. From its foray into environmentally sustainable yacht design and construction to its low-VOC, patented SCRIMP resin vacuum infusion technology, Horizon continues to be a pioneer in environmentally sound and efficient design and construction methods. Safety of life onboard and at sea is never compromised, as each Horizon yacht is rigorously tested to ensure it meets ISO 12217 stability requirements as well as ISO 6954 vibration and harmonics standards. Horizon's workforce and in-house team of designers, naval architects and engineers are some of the best in the business, each highly skilled and most with advanced degrees in their field of expertise. Many of Horizon's yachts are built to DNV class certification and MCA compliance, and all are subjected to stringent quality control procedures as part of Horizon's Quality Commitment to its customers. "Define Your Horizon" is not only a motto; it's our philosophical commitment to you.